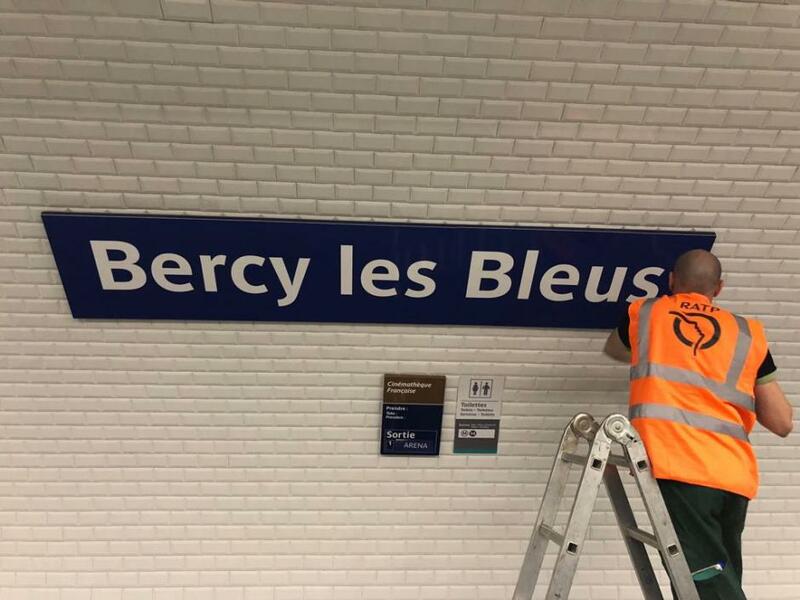 Bercy station has been renamed Bercy les Bleus. Photo: RATP. Operator RATP Group has renamed six Paris Metro stations in honour of the French football team after winning the 2018 World Cup at the weekend. Champs Elysées-Clémenceau is now Deschamps Elysées-Clémenceau (Once more paying tribute to manager Didier Deschamps). The Paris metro isn’t alone in honouring its country’s World Cup stars. Transport for London temporarily renamed an Underground station after England manager Gareth Southgate after he guided the team to their best World Cup performance since 1990.